Starrshma Fields is officially back on the scene, with the intent of returning to the head of the Double Gs organization with a new game plan. After a close call, she is all too eager to put into motion the plan she conjured up while in custody at the Clark County Jail. However, she is clueless as to all that has been going on while she's been out of the loop. Although she is still somewhat salty with her lover and leader, Diamond Morgan has been handling business, running the Double Gs in Starr's absence. She has managed to repair the damage caused by some of Starr's recent decisions by making some better and stronger ones of her own, but she is not sure if some things are beyond repair. Queen Fem is uneasy behind the mess that her protege has brought to the doorstep of the organization that she founded. It has been a long time since she has had to make a tough decision, but she feels her hand is being forced. She is unsure whether the Double Gs need to be under new leadership, and whether Starr should step down. Dealing with the illness of his only child and the strain it put on his marriage, Agent McCarthy is back with a vengeance. He throws himself into his work, the only thing he loves as much as his family. His only focus is to take down the Double Gs. But with one of his plants now deceased and the other off the grid, he is forced to roll up his sleeves to figure out how to dismember the Double Gs on his own. Monica is caught between a rock and a hard place. She is torn between the feelings she has built for Starrshma Fields, her new love interest, and her commitment to uphold the law. With that and then some going on, the Double Gs still operate on the highest level, executing their missions to ensure that their grip on the corporate, political, and underworld remain firm. New alliances are made and new orders are rendered. 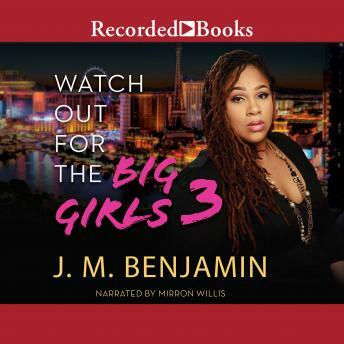 If you're a major player in the Las Vegas area, you still need to watch out for the big girls better known as the Double Gs!